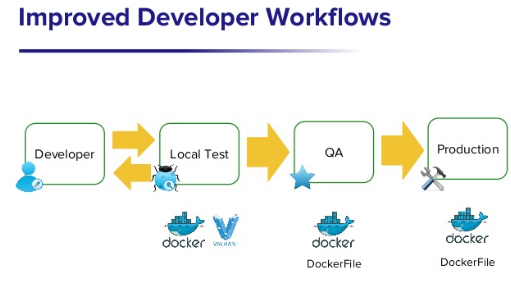 Docker is a useful tool for deployment, but also for development too. This article is dedicated to easily show you how use docker for development WikkaWiki (plugins, database, new themes, etc). If you have some previusly experence on docker and WikkaWiki, maybe you only have to check the basic dockerhub WikkaWiki build. widely on the web and the docker main page. This article assumes that you have successfully installed docker. Why use Docker for Development of WikkaWiki? Here’s a few of the reasons why you could use Docker for WikkaWiki development. All developers use the same OS, same system libraries, same language runtime, no matter what host OS they are using (even Windows if you can believe it). You can check the DockerFile for the installations steeps. You only need Docker to develop. You don’t need to install a bunch of databases engines, language environments or a set of unknown library's on your Operation System. You can set multiple "hackarounds" (like different php versions) without installing it on your machine, the hackarounds are isolated using docker. Can still use your favorite editor/IDE as you normally do. No need for running a VMs or remote directory's in and developing from the shell just so you can build/run on a Linux box. How to use Docker for Development? Physical/Virtual machine with a operation system compatible (setup network, disk space, etc). Web Server with the PHP 5/7 engine. Mysql database server with some basic or specific information for your new development. This is hard work if you have to generate a new environment every time you want to test a new crazy idea. There is where docker gonna to help you. On the follow items, we gonna to check how to easily setup a new development environment. Checking a new WikkaWiki release without operation system setup effort. 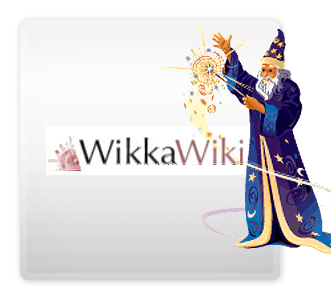 by last, you can access to the WikkaWiki installation page pointing to http://172.17.0.3 on your browser. I want to get inside the docker for a quick edit. I want to use my own copy of configuration files of WikkaWiki for testing it. The wikka.config.php file, is a set of configurations options, if you want to check with a specific database or some specific theme, you have to edit this file and run a new configuration. I want to use my own copy of all PHP and directory's files of WikkaWiki for testing it. This is very useful when you want to check if the new release is compatible with your themes (css styles, js stuff, etc). I want to use all my own copy of all PHP and directory's files and database WikkaWiki for testing it. This command runs a database directory, a base directory and even a plugins directory and uploads. All directory's can be shared between dockers instances, except the Mysql directory, because MySql don't accept concurrent multiple instances access, but this is not really a problem if you use btrfs/lvm snapshots. This docker is for a production environment? 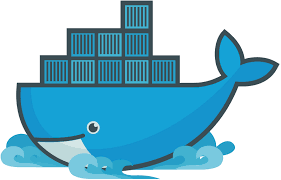 > R: No, is a help to the developers, I hope that in some time the docker, will gonna to be used by all and be approved to be the preferred on the project. This docker come with additional plugins, handlers or something else? [ ] TODO: Add a section for plugins directory and uploads actions. [ ] TODO: Add Some images. - [WikkaWiki](http://wikkawiki.org/HomePage) is a flexible, standards-compliant and lightweight wiki engine written in PHP, which uses MySQL to store pages.